Wash the beans and drain the water off. Place them in a sauce pan large enough to hold all ingredients. Add the potatoes. Sprinkle the salt over the potatoes. If desired, add bacon and onion. Cover with enough water to have two inches of water above the ingredients. Bring to a boil and boil for 15 minutes. Reduce heat to a simmer and cover. 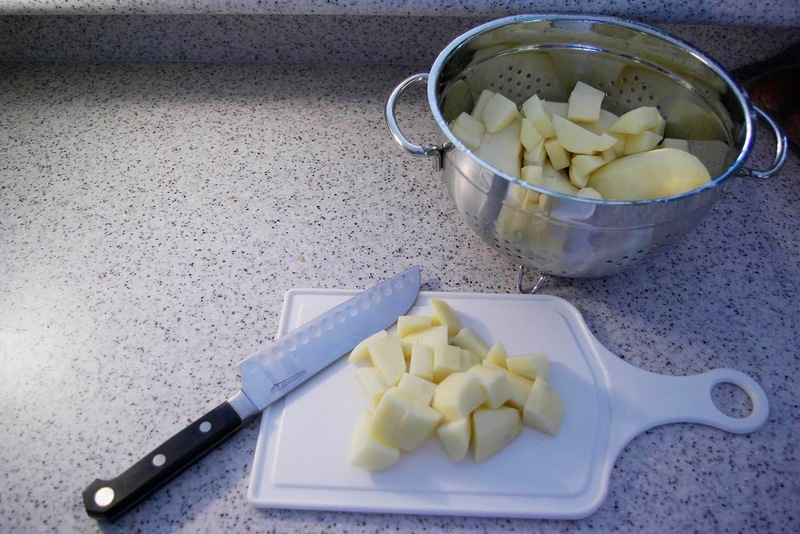 Cook for another 30 minutes, or until the potatoes are fork tender. Delicious side dish for any meal! 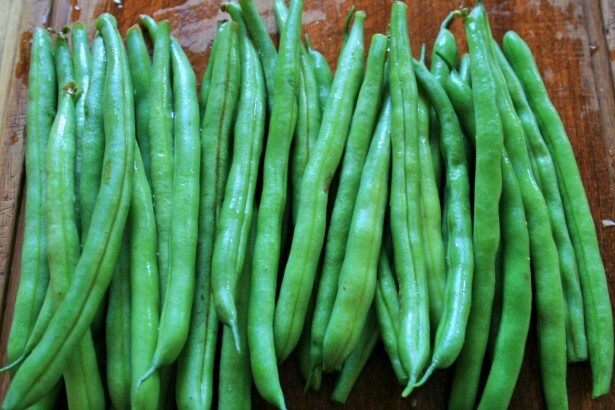 Variation 1: If you don't have fresh green beans, use 2 pounds of frozen green beans. Do not use canned green beans. By the time the potatoes are done, the beans will be soggy and falling apart. Variation 2: Some people prefer to use 2 tablespoons of bacon drippings rather than bacon. However, the beans taste great without bacon or drippings. Old fashioned recipes are tried and true family favorites. My mom used to make this vegetable recipe for us when I was a child, and years later, I made it for my family. 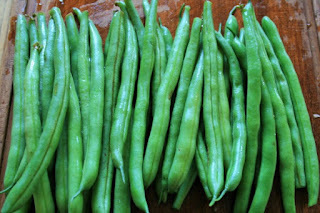 Do you have a favorite green bean recipe?